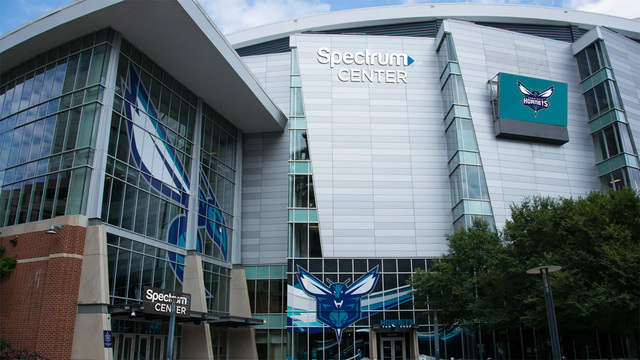 CHARLOTTE, N.C. – The Queen City hosted the NBA All-Star Game in 1991, but that was when the city didn’t have enough bars and restaurants to host all of the fans. Now, restaurants, bars, museums and other attractions line the streets throughout Center City. Former Mayor Pro Tem Lynn Wheeler said when the All-Star Game was in Charlotte in 1991, the All-Star Committee wanted to provide the thousands of out-of-town guests with more food and drink options. “There was no activity or life in downtown Charlotte, none,” Wheeler said. Offices and storefronts in uptown were converted into pop-up restaurants and bars to give the city some hustle and bustle, Wheeler said. “It looked real, but it was kind of a joke,” she said. An estimated 9,000 visitors were expected for the game in 1991. For this year’s All-Star Game the Queen City is preparing for 150,000 people. Tickets to get into the game are more than $500 for upper-level seats Sunday night. In 1991, current Mayor Vi Lyles took her son to the game for less than $50 at the coliseum on Tyvola Road. “It was basically (where) a town people came into work and then went home,” Lyles said. “Having professional sports makes the city more mature but also a more exciting place to be,” Lyles said.